Ecuadorian breakfasts can be small and quick, for example some bread with cheese or dulce (jam) and coffee/juice. However breakfast in Ecuadori can also mean a complete satisfying meal like mote pillo or hominy with scrambled eggs in the Andean highlands, or a bowl of delicious encebollado (tuna) soup in the Coast. Savory seafood breakfasts, from ceviche to fried fish with rice and plantains, are very popular in beach towns and coastal cities. Breakfasts dishes using plantains, both green and ripe, are also very popular, both in the coast and also in the Sierra (Highlands). Breakfast dishes with grains and vegetables like habas or fava beans, corn, yuca or cassava are also very common in the Highlands, especially in the more rural areas where people need a hearty breakfast to start a long work day. Panaderías or bakeries can be found everywhere from large cities to small towns. People will usually send the kids to buy freshly baked bread in the mornings for breakfast. You can find a variety of savory bread (pan de sal) or sweet bread (pan de dulce), some come with cheese fillings or sweet fillings, like guava jam. The type of breads also vary from one city to another, and some have very distinct and well-known types of breads. In the Sierra most people will drink coffee with their breakfast. Freshly made fruit juices are also popular all around the country, but especially in the coast. Other popular breakfast drinks include a fruity oatmeal drink called colada de avena and herbal teas. In my hometown of Loja, we have a very well-known tea drink called horchata (very different than the Mexican or Spanish horchata drinks), it is made with a variety of herbs and flowers, and is served already sweetened and with a dash of lemon juice. I can’t talk about breakfast options in Ecuador without mentioning the delicious variety of Ecuadorian fruits. Ecuador has an amazing variety of fresh fruit and its very common to have fresh papaya, melon, pineapple, berries, plums, as well as lesser known fruits like babaco, chirimoya, zapote, granadilla, and others for breakfast. The fruits are sometimes used to make juices or fruit salads, and other times are simply served on the side. These are some of the most popular Ecuadorian breakfast dishes. 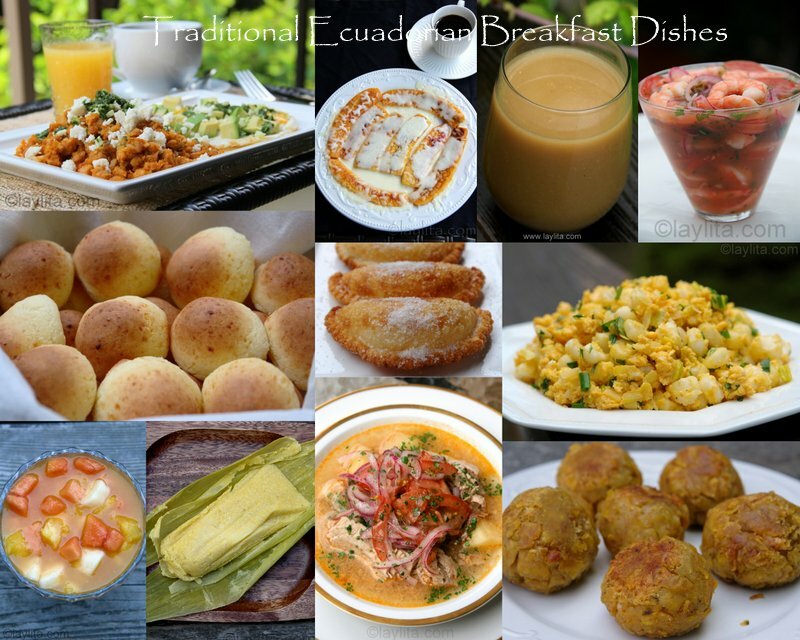 These traditional Ecuadorian dishes are great for breakfast or brunch, as well as for the afternoon coffee break. 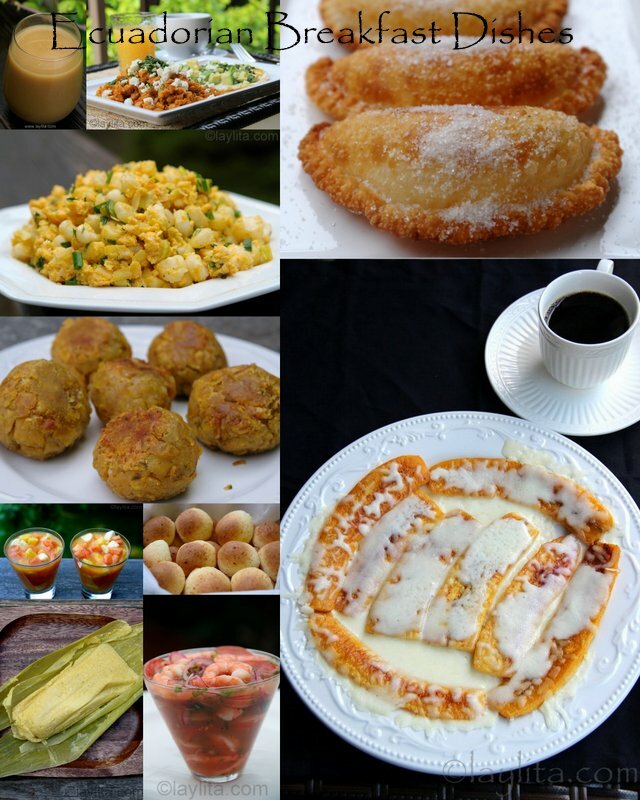 Most of these Ecuadorian classic breakfast dishes go really well with a hot cup of cafecito or black coffee. Bolon de verde: Bolon de verde are green plantain dumplings stuffed with cheese, chorizo or chicharrones and fried until crispy. Humitas: Ecuadorian humitas are savory steamed corn cakes made from a mixture of freshly ground corn, onion, garlic, cheese, eggs, and cream, which is placed inside corn husks and steamed. 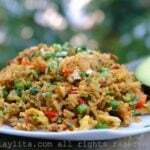 Majado de verde: Majado de verde is a green plantain mash made with green plantains, onions, garlic, and achiote. Majado is served with fried eggs and cheese slices. Encebollado or tuna fish soup: Encebollado de pescado is an Ecuadorian fish soup made with fresh tuna, yuca or cassava, tomato, onions, cilantro, cumin, hot pepper and topped with pickled onions. Fried plantains with cheese or platanos maduros con queso: Easy recipe for fried plantains with melted cheese, made with sweet ripe plantains topped with grated quesillo or grated mozzarella. Colada de avena or Ecuadorian oatmeal drink: Colada de avena is a traditional Ecuadorian fruity oatmeal drink, it is made with oats, naranjilla fruit, panela or brown sugar, water and cinnamon. Colada can be served cold on warm days or warm during cold winter days. Jugo de piña: Easy to make homemade pineapple juice, you can also make any other fruit juice with this recipe. Horchata lojana: Horchata lojana is a tea type drink made from a variety of herbs and flowers including escancel or bloodleaf, lemon verbena, lemon grass, mint, chamomile, lemon balm, rose geranium, among others. your recipes are spot on! I am in Ecuador right now and amazed by all it’s delicacies. I worry though that you’re giving away all your recipes before the book comes out – it’s going to be great! Anyway, thank you for these tips, in them I really see your love for cooking. I just got back from Ecuador on a Mission Trip and loved everyrthing. 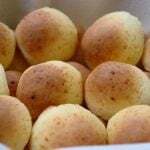 I am going to try to do the bolon and the pan de yuca. Wow! I just discovered this site. Both of my parents were born in Ecuador and I am familiar with a few of these dishes. I never really had time to sit down with my mom and write down her recipes but this gives me a renewed interest. Look forward trying your recipes! Please don’t take this site down! Thank you for posting these recipes! It has been years since I was in Guayaquil and Machala and seeing these brings back great memories! I’m excited to try them. Please don’t ever take this blog down! My daughter is cared for in an Ecuadorian home from 3 months old. She has this native tongue now at 2 years old so I will be making your dishes soon. Thanks for posting them and I will let you know how the cooking goes for me. I am marrying into a huge wonderful Ecuadorian family. (My ethnicity is Scandinavian)Your site is amazing and so helpful for me so I am able to cook for my fiancee. Just wanted to say thank you for the aaaahhhmazing tips on all these wonderful totally Ecuadorian recipes. Just to let you in on a little secret I am Ecuadorian myself but a HORRIBLE cook. Your recipes were so simple even I could make them, and the tastes of weekends my abuela’s house are all rushing back to me. The pan de yuca was simply to die for, and your ceviche dishes cure even the worst cases of homesickness. Well anyways keep up the terrific work!